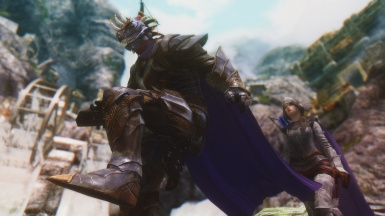 Automatically changes the Cloaks of Skyrim into HDT variants for the player character. Flap on! 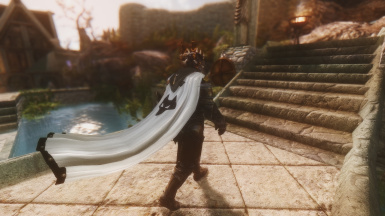 This mod changes the non-HDT cloaks from Cloaks of Skyrim into HDT cloaks upon entering your inventory. You can use them for your player character and give them to your followers. it would glitch out for npcs pretty heavily in my game and make my comp chug in cities. This is my attempt to alleviate those issues and contribute to the community that has contributed so much to me! These cloaks behave exactly the same as bola08's. They do not affect npcs. If you want the full replacer, use his. 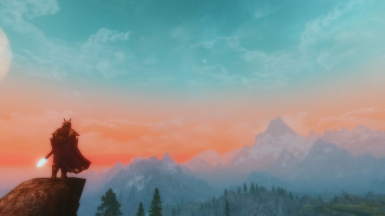 Requires Cloaks of Skyrim & Dawnguard Optional, HDT Physics Extensions, SKSE, and all Skyrim DLC. COS version: You need both Cloaks.esp & Cloaks - Dawnguard.esp! CCOR version additionally requires Complete Crafting Overhaul Remade 1.7+. CCOR version: Do NOT load Cloaks.esp or Cloaks - Dawnguard.esp! You just need the files from COS, not the plugins. Requiem versions - CFR - Cloaks For Requiem or COR - Crafting Overhaul Reqtified. Drop & pickup the normal cloaks that are already in your inventory to let the script run on them! 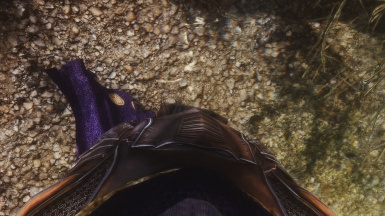 If you want to see the cloaks in first person occasionally (when you turn fast), you'll need Skyrim - Enhanced Camera. Use HDT Invisibility Fix beta if you want to give the cloaks to followers. Will be compatible with anything the aforementioned mods are compatible with. Frostfall now adds Warmth & Coverage to my cloaks! Next thing to do is to make the spinning wheel change HDT burlap -> HDT linen. Need to add an option or functionality to change them back to non-HDT when they leave your inventory. As much as I would love to, I have no plans to apply HDT physics to Winter is Coming and Wet & Cold. The XML HDT needs some work but so far I'm a bit clueless on it. The lower parts of the cloak jumps a bit. Still IMHO this is the best HDT cloaks available. Like many things in Gamebryo, Havok physics are tied to the games frame-rate. As a result, FPS below 40ish or your CPU being stressed tends to cause the cloaks to glitch out. Also FPS above 60 breaks Havok so please use v-sync. I notice no performance impact but if you have a laggy game, HDT cloaks may not be for you. WaitBusyRenderer=true in enblocal.ini can fix many of the HDT problems. That said, I don't recommend it because it can also have a significant effect on performance. 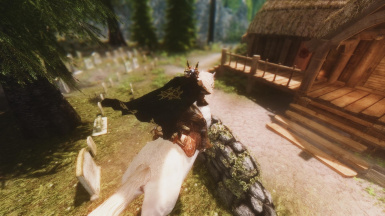 This mod covers 111 of 121 COS cloaks and 3 of 4 Campfire cloaks; Dragon Priest cloaks, the Daedric cloak, and the Travel Cloak, Fur do not have HDT meshes and are not supported. UV MAPPING: These meshes have the same issues that Cloaks of Skyrim suffers from. The UV isn't mapped properly and texture sets aren't used. Not a huge issue for this mod but something to be aware of. BODY HDT: Not tested with any body HDT. KNIGHTMARE077 has body HDT working with my cloaks. Pick your body mod. 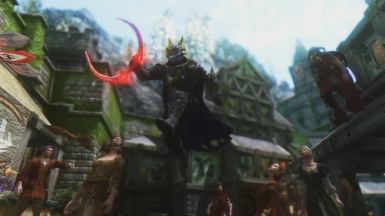 If you want the full replacer, you'll find it on Lover's Lab - Cloaks of Skyrim - HDT-PE - Fixed by bola08. Big thanks to Chesko for guiding me through the script! I believe I've finally found the original author but forgive me if I got something wrong. Google Translate can only do so much. 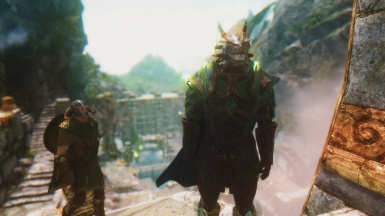 Permission to port to SSE is now open. Just credit me and my credits. Thanks to the many people who worked on the HDT part of this mod! //Also check out my Uncle's game! - "A gothic daydream found in the flash of life before death."